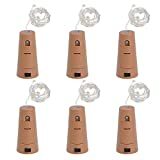 Self-assemble puzzle lamps create ambient, elegant, fun and soft mood lighting for any interior living room, outdoor space, office space or patio and garden area, great for decorative lighting for events and parties. Made of durable and washable translucent polycarbonate plastic the completed light fixture shade is durable, easy to clean and weather resistance. 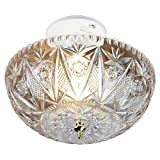 The easy to assemble lighting kit includes 30 identical pieces of one color and one size along with written instructions and a website link to video instructions that guide you in creating one of 15 possible different light/lamp shade styles. Enhance your creativity by combining other light kit colors of the same size to customize a theme for a specific event or room decor. 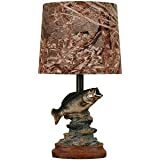 Assembled finished lamp shade diameter measurements: small/7, 3-inches, medium/10-inches, large/14-inches, extra-large/16, 5-inches and XXL 22 inches = 52 cm. 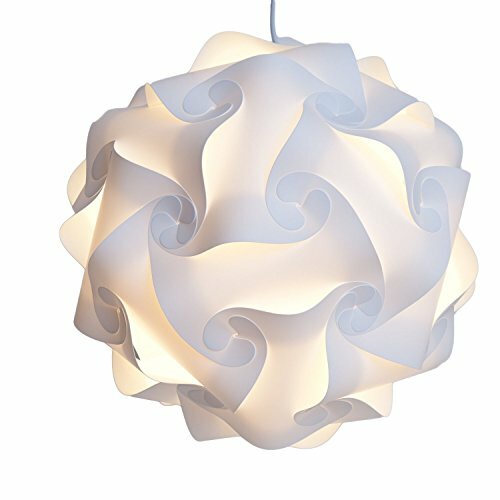 The completed lamp can hang from a ceiling, stand on the floor, sit on a table top or adjust to fit as a lamp shade on an existing light fixture. A 5 foot long white electrical lamp cord with on/off switch is included in the kit. Comes with English instructions, inclusive light kit with light cord and EU plug can use in us/Canada with cheap adapter (not inclusive) or cut the EU plug and connect the lamp light cable over a terminal block with the conductor electric cable from the wall a single CFL energy saving lamp bulb, LED lamp bulb or outdoor LED or CFL lamp bulb is required, not included in the kit. Basic assembly is required. Instructions in English.